The new Ferrari's concepts of the myth are now a reality. The selection of the 20 best nominees for the Ferrari of the future, created by automotive design students of four of the most prestigious schools worldwide (Center for Creative Studies of Detroit, Coventry School of Art and Design, European Institute of Design of Turin and Tokyo Communication Arts), will be exhibited at the Galleria Ferrari in Maranello, starting from today, Friday, October 28th. The contest, organized in partnership with Pininfarina and with the support of Alcoa - the company that produces aluminium spaceframes for Ferrari - has seen at work, in the last months, the most talented of each college. The students have been challenging themselves in the production of scale 1:4 Ferrari models, innovative and fresh in style and functionality as well as in external and internal volumes, proposing stimulating alternatives to the internationally acclaimed shapes of the current and previous mid-engined eight cylinder cars and the front-engined twelve cylinder cars. 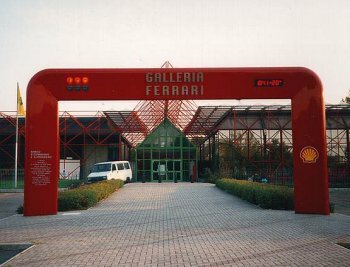 On November 18th 2005, the Galleria Ferrari at Maranello will the venue which will host the prize-giving ceremony. 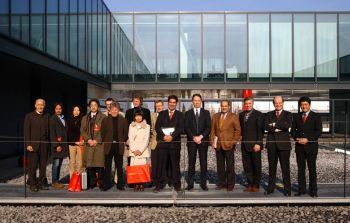 The twenty selected projects will be voted on by a technical board of jurors, which will include the Ferrari Style Committee, whose main members are Luca di Montezemolo, Piero Ferrari, Jean Todt, Amedeo Felisa and Massimo Fumarola - and the senior management of Pininfarina (Senator Sergio Pininfarina, Andrea Pininfarina and Ken Okuyama). For the four prize winners, the exceptional, unique opportunity of gaining work experience at Ferrari or Pininfarina, transforming the academic project into professional practice, will be on offer. To these, the winner of the Alcoa award, who will get an aluminum reproduction of its model and, in case of significant proposals, special mentions will be added.